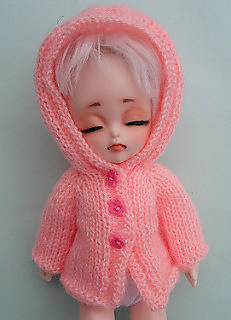 I have designed this hooded Jacket for a tiny BJD such as Lati or Pukifee. It will fit a doll of about 6-7” tall. You will need a small ball of 2 ply yarn and a pair of 2mm knitting needles.